Perspectives on the Battle of Gettysburg. For years historians have made the assumption that had the Confederate troops managed to seize Little Round Top, the entire battle would have changed dramatically. Herb will take a contrarian view and reexamine these assumptions based on the comparison of Little Round Top on the Federal left, versus the Battle for Culp’s Hill on the Federal right flank. 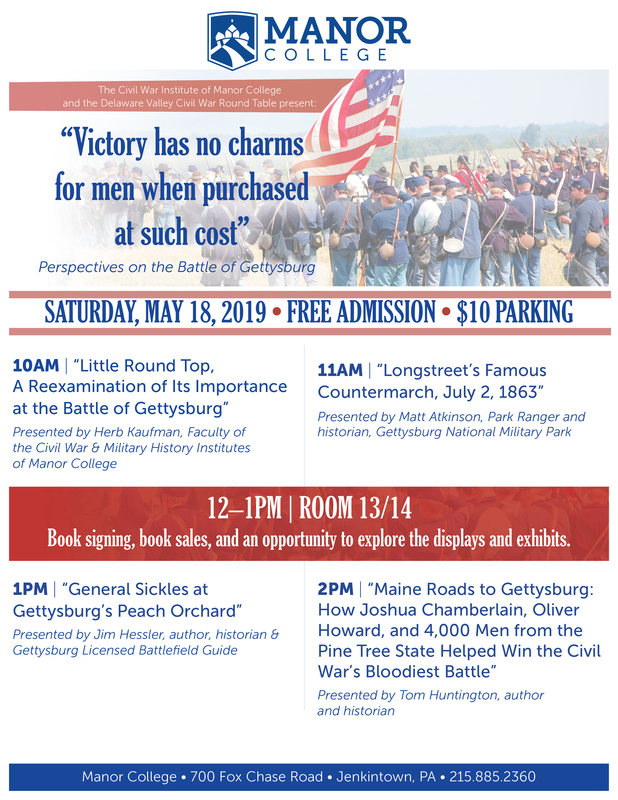 Join Matt as we explore one of the most controversial exploits of the Battle of Gettysburg; – Longstreet’s movement to get into attack positon. This presentation dispels the myths and takes a honest look at what actually happened on that fateful morning. Cafeteria: Lunch, book signings, discount book sales, and an opportunity to explore the displays and exhibits. Jim will discuss the colorful life of Major General Daniel E. Sickles based on his classic and award winning biography. He will examine Sickles infamous forward movement, his command decisions, and the impact of his decision on both the Union defense and Confederate attack. Based on his new book, Tom will tell the heroic history of the soldiers from Maine during the Battle of Gettysburg: the famous 20th Maine; the furious stand of the 17th Maine; the exploits of Col. Freeman McGilvery as he cobbled together a defensive line of artillery; and the battle of the 19th Maine in Pickett’s Charge.